With spectacular scenery and beautiful communities, it is no wonder Nevada is a popular snowbirding destination. 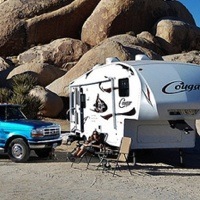 RVing in Nevada is unique due to the number of interesting attractions, exciting events and thrilling activities the state has to offer RVers. 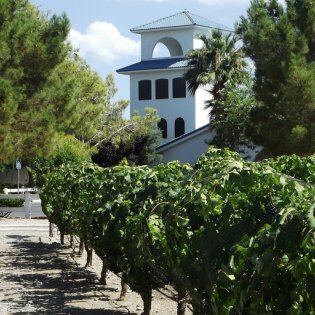 Browse the following stories to learn about some of the destinations, attractions and places to stay in Nevada. 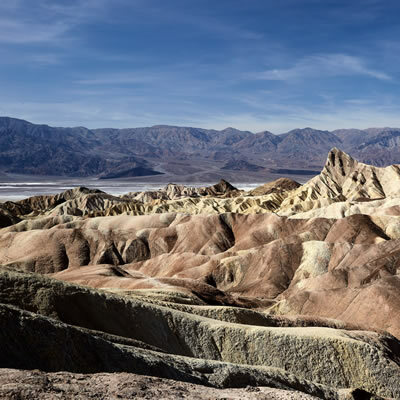 Take in desert scenery and a nearby date farm while visiting the area of Death Valley National Park, straddling the California-Nevada border. 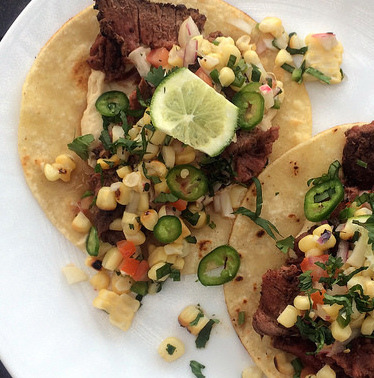 You can sate your appetite at one of these top restaurants in Pahrump, Nevada. 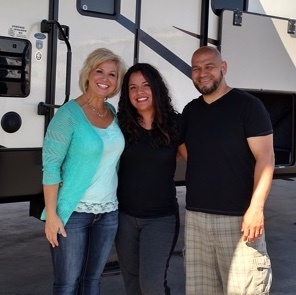 The GAC reality show Going RV follows buyers to a Las Vegas dealership. 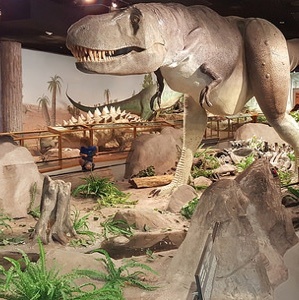 Take a dinosaur journey in Nevada. 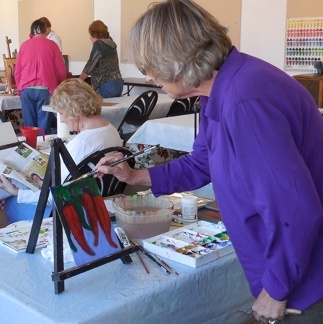 The Mesquite Fine Arts Center and community classroom hosts a number of ongoing drop-in classes that will appeal to any creative imagination. 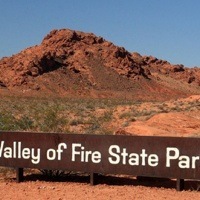 We selected three of the top things to see and do while RV camping in Pahrump, Nevada. 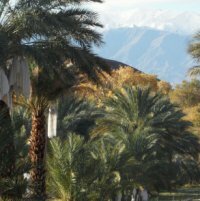 Just a short drive from either Mesquite or Pahrump, Nevada, are some unique, heart-of-the-desert destinations. There's a wedding every three and a half minutes in Vegas, adding up to more than five per cent of all marriages in the United States. 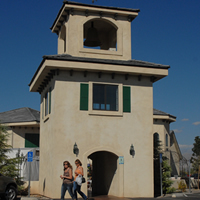 Pahrump, Nevada, offers astonishing desert beauty, hiking, wine tasting and culture as well as nightlife and fast cars. The National Museum of Organized Crime and Law Enforcement details the war between the mob and the law in Vegas. Full-time RVers Ray Burr and Ann McKinnell have earned their stripes as snowbirding adventurers. 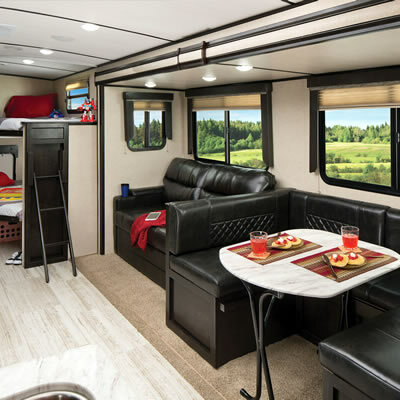 While traversing America’s perimeter and Canada’s Maritime provinces, the Victoria, B.C.-based couple has learned a thing or two about full-timing, and they offer tips for making the most of the RV lifestyle. You can pay big bucks to see the shows, or you can check out these sights and sounds—all free. Grab a guide and take a stroll through Eureka, Nevada’s fascinating landscape. The Eureka Sentinel Museum offers a glimpse into the past of this small Nevada town. This city is always abuzz with activity and boasts tourist attractions galore.